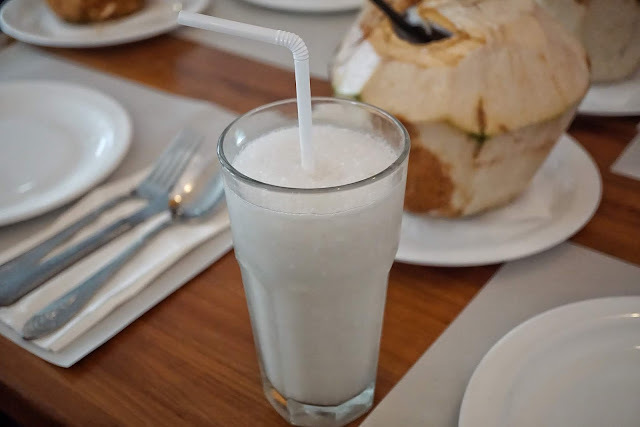 We decided to order Caesar Salad (PHP325), Fresh Mushroom Pasta (PHP359), Roast Beef Belly (PHP325 | PHP725) and Buko Juice/Shake (PHP90) for the group. 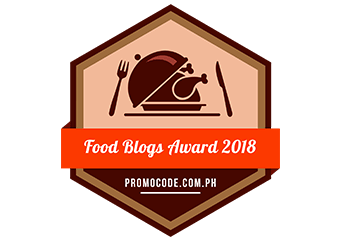 We also got Smoked Bone Marrow and Pulled Pork (PHP395) from HogsHaven Smokehouse, a restaurant Dulcelin partnered with. 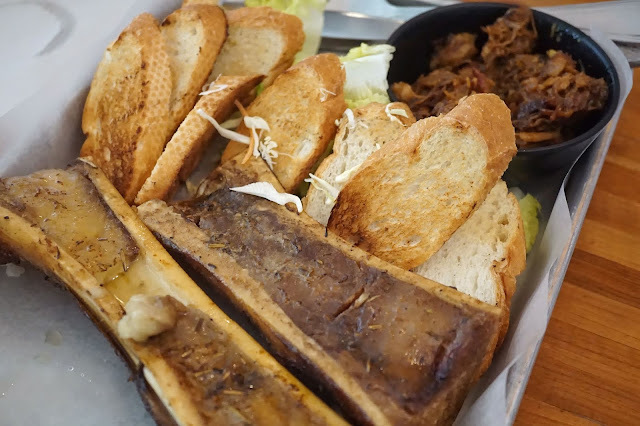 First served was our sinful bone marrow and pulled pork with French bread. Great for sharing, this dish is every carnivore's eye candy. 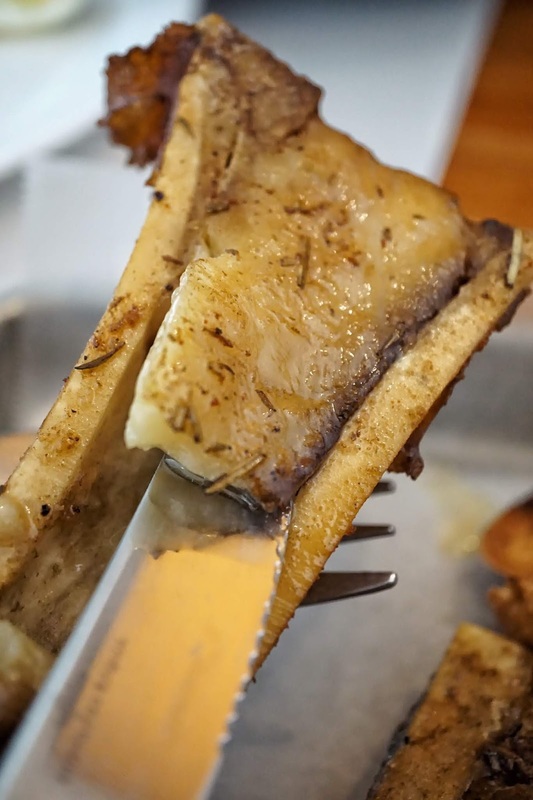 The bone marrow itself is lightly seasoned and best enjoyed when you top it with the flavorful pulled pork. The plain French bread has this smokiness to it that works. And it added texture to the dish. Our bowl of Caesar Salad was served next and it was delicious! For some reason, I couldn't stop from getting more. 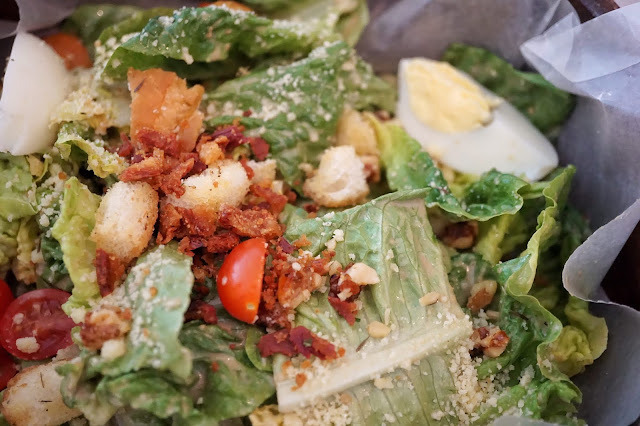 Its tangy and creamy taste paired with the crisp Romaine lettuce did one fine job in whetting our appetite. 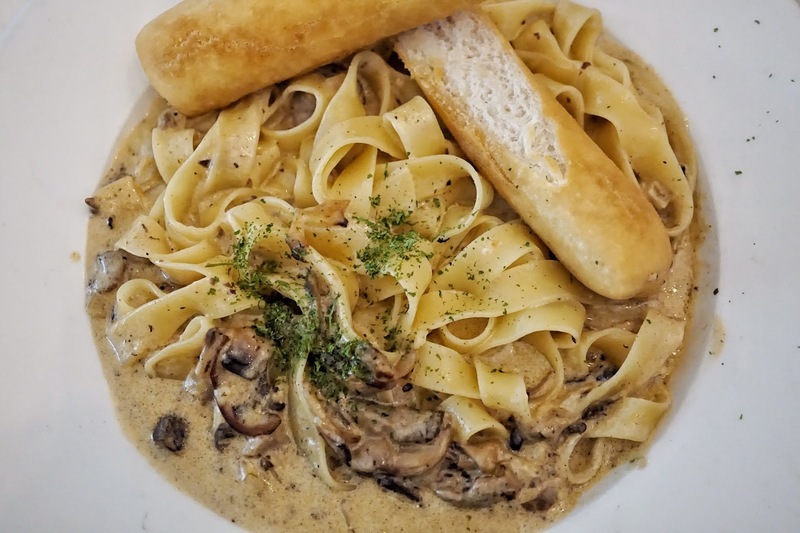 The fragrant bowl of truffle pasta was served soon after and it was pretty good as well. Though it may not look very photogenic, this dish was hands down my favorite. Then again, I might be biased as I love anything with rich truffle flavor. 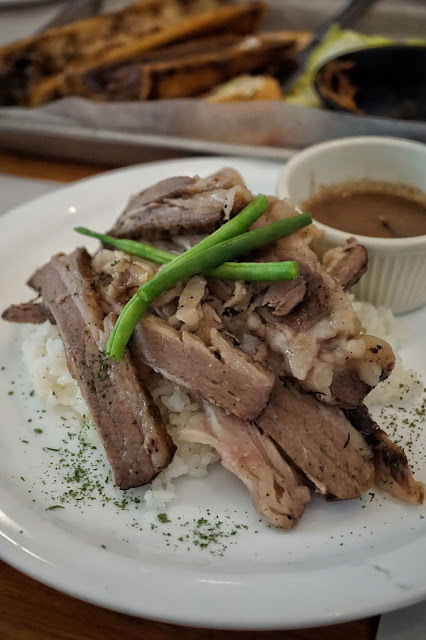 I recall that Dulcelin's Roast Beef is also a crowd favorite so I was looking forward to this one. And it did not disappoint. 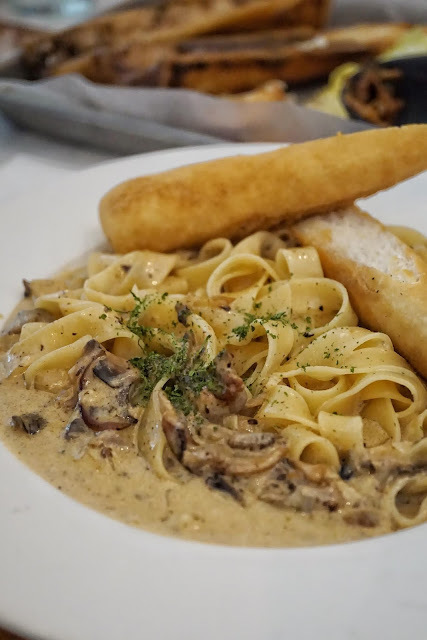 Cooked to perfection, each bite was tender and wonderfully complemented by the mushroom gravy and French beans. Would have loved it even more if there was more French beans as three is not enough. I had to grab Mango Torte before heading out as no trip to Dulcelin is complete without getting what made Dulcelin popular. 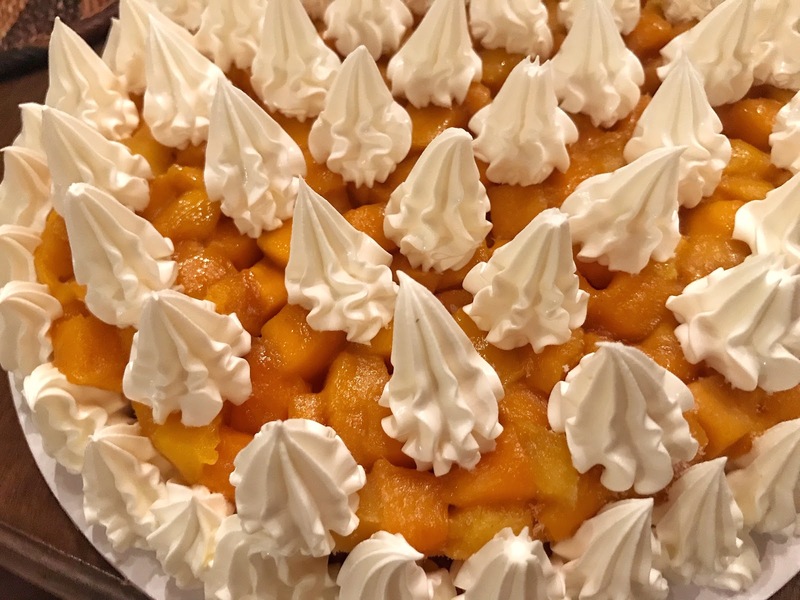 And it was an instant hit during R's family dinner. I'll definitely head back to Dulcelin for more of its savory and sweet treats! 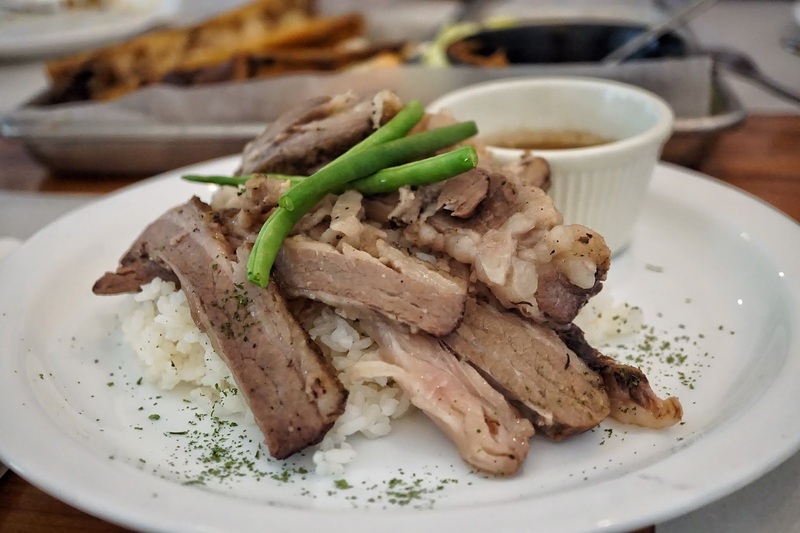 Dulcelin Gourmet is located at Quezon Avenue Corner West 4th Street, West Triangle, Quezon City.